Our room was clean, comfortable and the breakfast in the morning was great. Loved the location and the service was excellent. 18-Dec-2018 Verified Review, stayed from Fri Dec 14 to Sun Dec 16 2018 at a $160.95 average nightly rate. 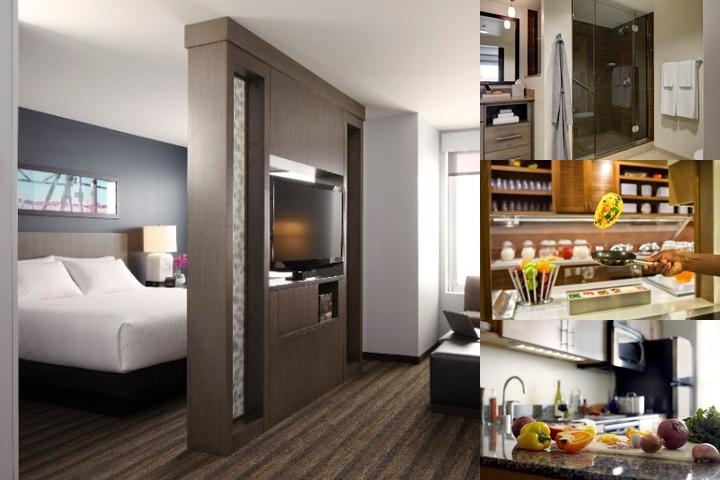 We are a new high-end extended stay property in the shadow of the space needle across the street from the Seattle Center. Our rooms are spacious with kitchenettes and living room areas. Every stay includes a complimentary hot breakfast spread with a made-to-order omelet bar, complimentary wireless internet, and complimentary local shuttle service. Stop by the H Bar for Happy Hour and daily dinner specials. No need to stray from your workout routine with our modern 24/7 fitness center. Take a moment to relax on our rooftop patio with BBQ's, fire pits, and an unbelievable view of Seattle. We have a VIR (Very Important Resident) program to offer our extended stay guests extra support and amenities such as our complimentary grocery shopping service. We have 1,000 Sq. Ft in meeting space. A Board room, that seats 10 and a Gathering room that accommodates 30-45, depending on the set-up. We offer in-house catering, however we also welcome outside catering. We love to go the extra mile for our guests to ensure that everyone has a fantastic stay. Yes, dogs under 50 lbs. Contact for details on pet policy. Local Shuttle Info: Complimentary hotel shuttle to destinations within one mile. Complimentary full hot breakfast, including the Omelet Bar. Complimentary Wi-Fi in the entire hotel. The Hyatt House highlights above are subject to change without notice. The graph above is fluctuations of room rates for both our group quotes and the lowest online individual prices our system could find at the time the group bid was entered. The best group or meeting displayed is 36.2% in the month of January 2018 and the highest average individual rate is $346 in the month of August 2017. This chart will show past seasonality and also project future months. If you are flexible with dates, you may want to consider staying at Hyatt House Seattle / Downtown in a month when rates are lower. 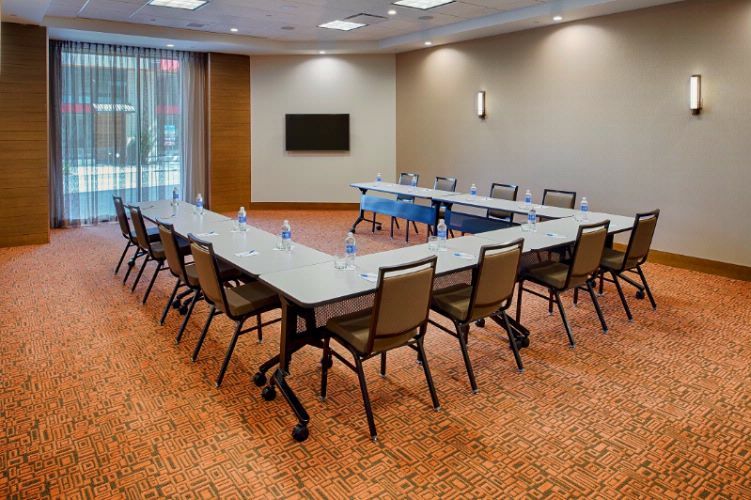 Below are the meeting, banquet, conference and event spaces at Hyatt House Seattle / Downtown. Feel free to use the Hyatt House Seattle / Downtown meeting space capacities chart below to help in your event planning. 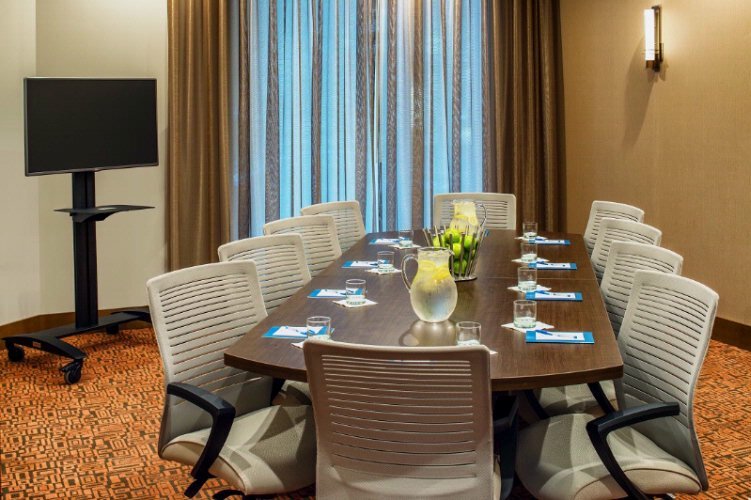 Hotel Planner specializes in Seattle event planning for sleeping rooms and meeting space for corporate events, weddings, parties, conventions, negotiated rates and trade shows. 30 x 24 x 12 Ft.
20 x 15 x 12 Ft.
33 x 21 x 0 Ft.